Lenovo has signed on Two and a Half Men and Punked! 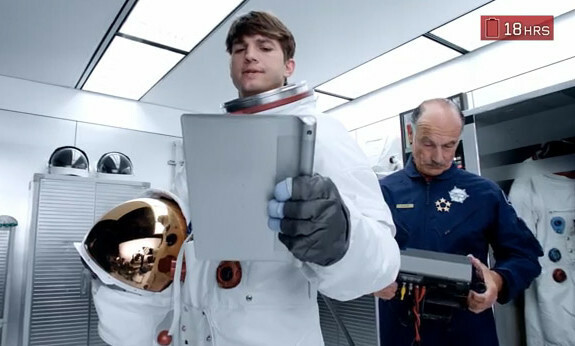 star Ashton Kutcher as its new product engineer. Kutcher will work with the company’s global engineering teams to develop and market the Yoga line of tablets by providing input and decision-making into design, specifications, software and usage scenarios, said Lenovo. “I can’t wait to dig in and help Lenovo develop future mobile computing products, starting with the Yoga Tablet. Lenovo is all about innovation and strong leadership. Entrepreneurship is part of their DNA, and I couldn’t ask for a better fit,”Ashton Kutcher said. Its new Yoga Tablet claims up to 18 hours of battery life and it features three modes to give consumers a better way to use a tablet. Titled "Your Housing Journey", the campaign is based on the insight that a HDB flat is more than just a home,..